This study aims at controlling a self-sustained oscillator ﬂow, with non linear low order model predictive control. The setup is purely numerical, nonetheless it aims at providing an experimentally suited process to model and control large scale, globally unstable ﬂows. For this reason, system identiﬁcation techniques will be used to design a reduced order model, as they extract observable dynamics from a direct observation of the ﬂow without relying on any a priori modeling of the ﬂow. A spatial reduction that uses a modiﬁed Proper Orthogonal Decomposition (POD) algorithm, along with a physics-based model structure will be used to capture the dynamics of the large scale structures, whereas the eﬀects of the actuator will be taken into account by using temporal linear regressions. A two-dimensional NACA012 airfoil in high lift conﬁguration at Re = 200 will be used as a typical example of strongly non-linear oscillator ﬂow. Observations of the system at several Reynolds numbers will serve to design a rich dataset for identiﬁcation, and the resulting model will be able to accurately simulate the ﬂow within a large range of Reynolds numbers. To demonstrate the process, a non-linear control in full state conﬁguration will be designed, and control result will be presented at Re = 200. 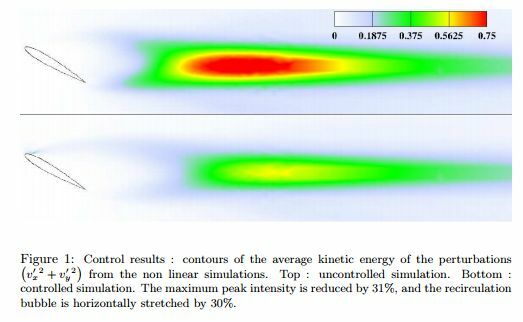 Fig 1 shows the average kinetic energy of the perturbations in both the the uncontrolled, and controlled simulations that are obtained at the end of the process.